While this organisational rationale is understandable, there are benefits to doing things in a different way, if only occasionally. 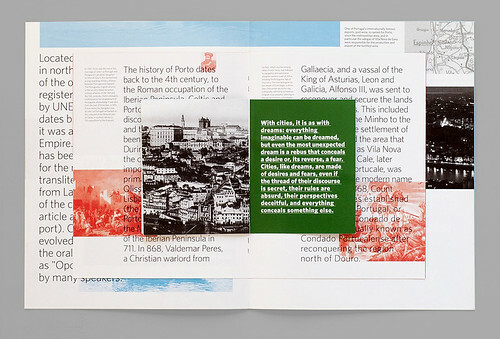 The Porto Design Summer School course attempts to be one such occasion. 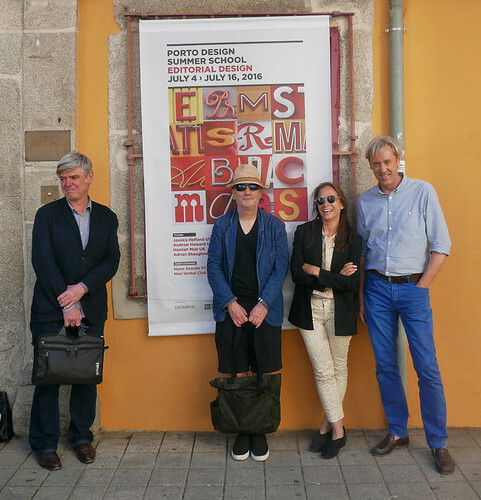 Participants from around the world, aged from their twenties to their fifties, both students and professionals, have gathered in Porto every year since 2013 to take part in a two-week course that focuses on editorial design. They bring with them different cultural perspectives, different routines and expectations, as well as differing experience and skills. Some, at the beginning of their design careers, want to expand their knowledge, while others, as professionals, want to break their routine and refresh. Whatever the reason, this coming together in territory that is new and it establishes a group dynamic in which each participant is encouraged to extract what is relevant and meaningful to them while being guided through a common set of course tasks. Project work by João Fonseca, Portugal. 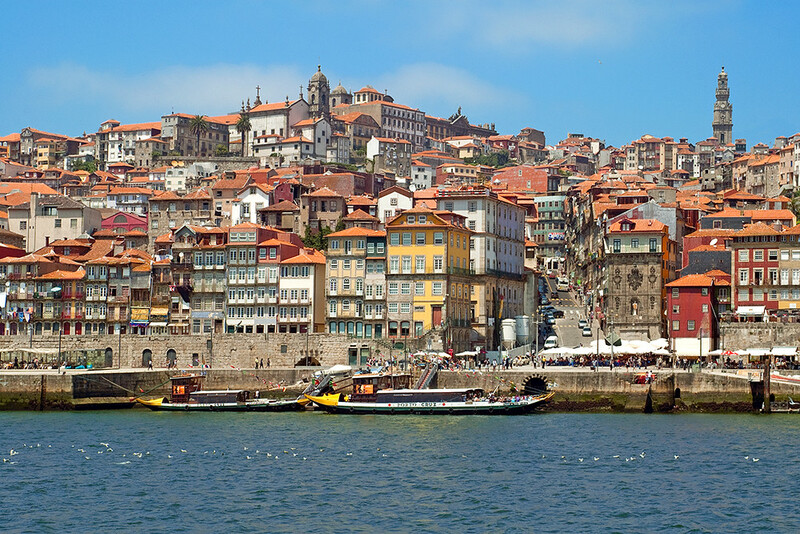 Top: View of Porto from the Douro river. The core tutor team since its inception in 2013 has comprised: Hamish Muir, founding member of 8vo, partner of MuirMcNeil and lecturer at London College of Communication; Jessica Helfand, author, founding member of Design Observer, and lecturer at Yale University; and me, founder of Studio Andrew Howard and course leader on the MA in Communication Design at ESAD, Porto. Each year (except 2014) a forth guest tutor has joined the team – Jonathan Barnbrook in 2013; George Hardie in 2015; and in 2016, Adrian Shaughnessy. 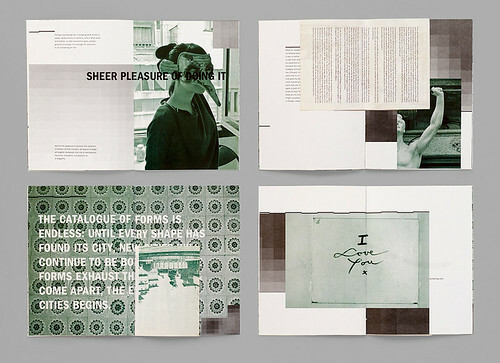 This year our guest will be renowned book designer David Pearson [see profile in Eye 77]. And to fill in for Jessica Helfand who is unavailable this July, we will be joined by the talented New Zealand designer Catherine Griffiths. Fifteen to twenty participants are accepted on to the course. Project work by Josh Peter, US. 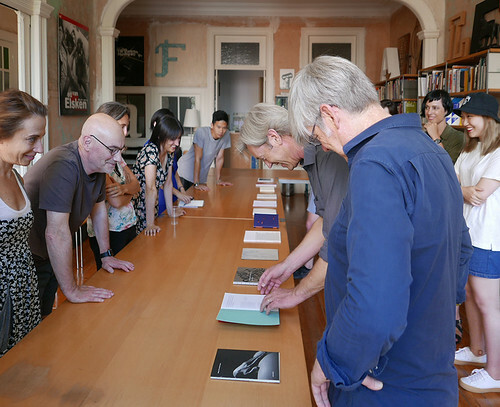 Tutors and participants assess final projects. 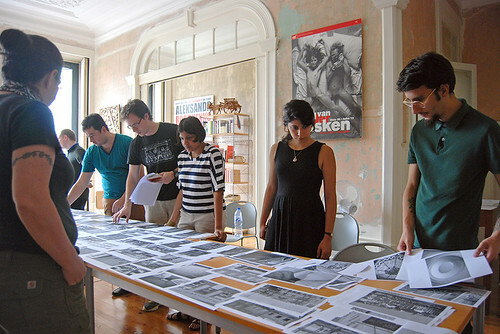 Editorial design is the focus of the course. Despite the large range and variety of both visual and conceptual approaches that book design can offer, and the ways in which they oblige multiple and simultaneous considerations, books are nevertheless objects that have tangible limits. Beyond the possibilities of engaging in the structuring of content – itself a powerful attraction – there lies another reason that make books such an appealing and satisfying challenge for designers – their physicality. A book is not an on-going project subject to change; its parameters are not in a state of flux. The decisions a designer makes about size, format, number of pages, layout and so on, are permanent. There is a beginning and an end. And in a world where so much is in a state of flux, perhaps there is a refuge of certainty in producing an object whose edges we are able to define. None of this makes editorial design static or without challenge. It offers the possibility of producing a self-contained, portable and rewarding expression of the act of transformation that lies at the heart of the design process. Lecture. 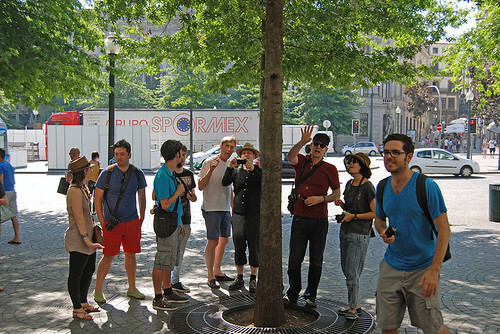 The course has welcomed participants from the United States, UK, Mexico, Colombia, Brazil, Argentina, France, Italy, Spain, Greece, South Africa, Australia, India, Thailand and Portugal with additions from China, Norway and Cambodia this year. In organisational terms the course sets out a practical outcome for each participant in the form of an individual editorial project that develops personal interests. 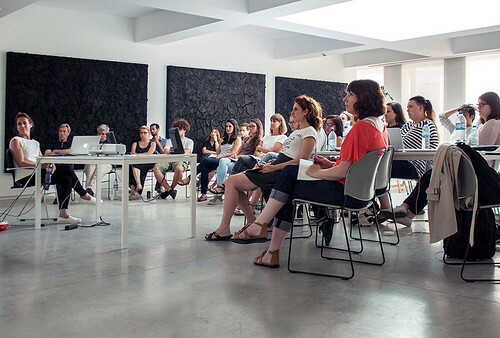 The aim is to expand technical and conceptual skills and thus move participants closer to finding a unique outlook and signature as a graphic designer. The two weeks culminate with individual presentations of the projects in a collective review by fellow participants and tutors. Overall, the course aims to establish an intensive, creative forum within which to discuss approaches to contemporary design practice, to share ideas and to celebrate collective interest and enthusiasm. The deadline for applications for this year’s Porto Summer School is 29 May 2017. 2016 tutors (left to right) Hamish Muir, Adrian Shaughnessy, Jessica Helfand, Andrew Howard.